funding sources. On June 30th, the California State Transportation Agency announced $6..8 million in funding for the new route and other potential routes in the future. Metro Express is categorized as a “Bus Rapid Transit” service and is distinguished from regular bus routes by providing high quality, high capacity service comparable to light rail, though at a fraction of the cost. 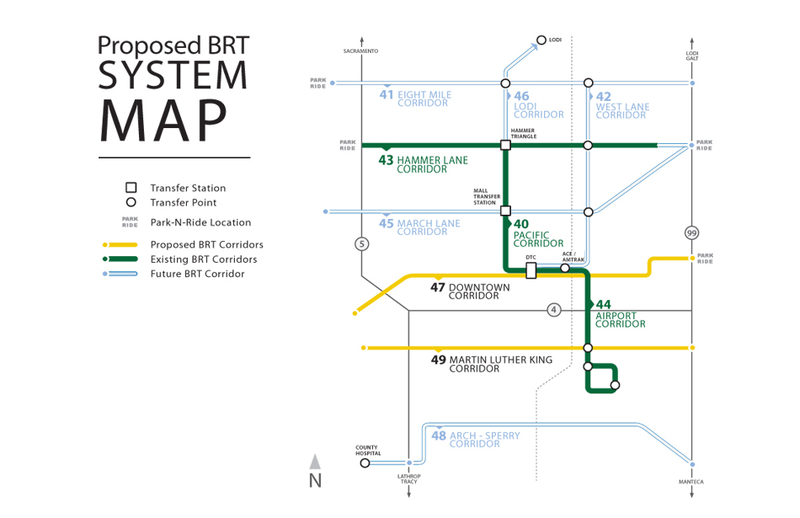 Some of the time-saving features of BRT include off-board fare collection and signal prioritization. Currently, travel along MLK Boulevard is spotty for those without cars. The existing bus service—Route 55— only runs hourly and does not cover the entirety of MLK. RTD’s new Metro Express 49 would improve headways to 15-20 minutes and extend beyond I-5 to nearly Highway 99. According to RTD officials, the new route will also transport passengers from one end of the line to the other in 20 minutes. RTD’s current Metro Express routes have proven wildly popular as ridership on some lines has been so high that the agency had to invest in articulated buses to expanded capacity. On Hammer Lane, ridership jumped from a weekday average of just 375 with standard RTD service to 2,000 once Metro Express 40 began operations, according to one RTD official. The new route along MLK will be a welcome addition to an area that could greatly benefit from stronger transportation options. 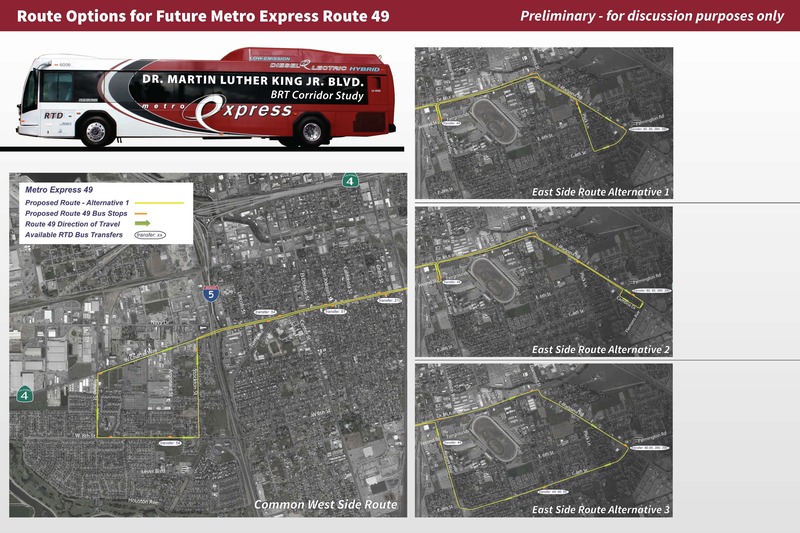 Not only will residents be able to travel between south side neighborhoods with much greater frequency, but there will also be a connection to Metro Express 43 which will connect South Stockton to destinations to the north such as Delta College, the University of the Pacific and the malls. ← Where’s the best location for a CSU Stockton? Great to read about Stockton investing more in expanding BRT!